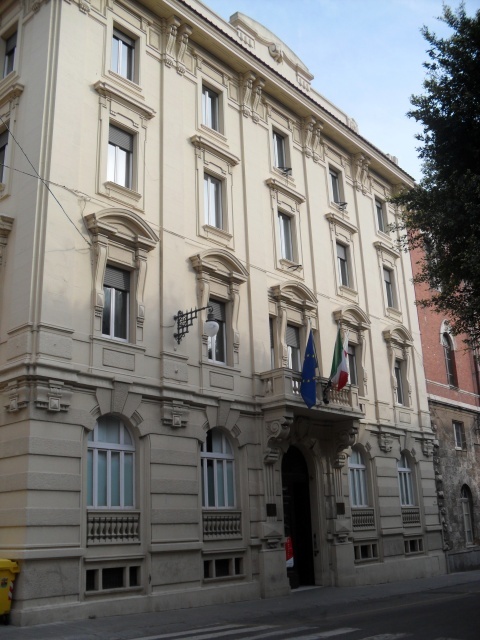 The building located at the south-west side of Piazza del Carmine, housed the Superintendency of Public Works. The building was inaugurated in 1927. On the third floor, it is possible to admire four works made by the master Filippo Figari: "The Farmyard", "The Church", "The House" and "The Village"; realised between 1928 and 1929, they represent typical Sardinian life scenes.